Paradune Brewing Co. is proud to bring you our farm fresh beer brewed right beside our own hop yard. Our taproom will be open soon for our guests-- featuring Paradune brews you can enjoy right where it was created. Visit us for a pint and make sure to watch for new beers coming soon to your favorite bar or restaurant. We look forward to seeing you out at the farm! 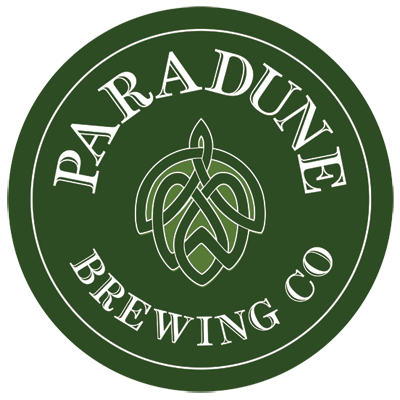 Paradune Brewing Farm is proud to be part of returning the historic tradition of hop growing as part of Ohio's agriculture. For about a century, Ohio grown hops were part of a by gone era. Today, that is changing. Through integrity and dedication Paradune Brewing Farm will be a premier source of quality Ohio grown hops for Ohio's brewers. 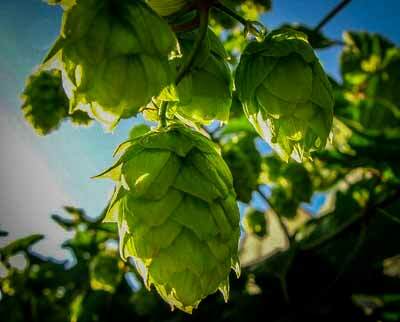 Hops are the female flowers of the hop plant (Humulus lupulus). The hop plant is a vigorous, climbing perennial, that can be trained to grow up strings in a field called a hopfield. In some regions these fields are called hop yards. Many different varieties of hops are grown around the world. For those not familiar with hops, the hop flower provides a significant modifier to the flavor, aroma and bitterness of beer. Each hop variety is known for imparting certain and repeatable results. While fresh hops can be provided to breweries in their natural harvested state, processed hops give a more reliable, longer-lasting alternative in the form of small pellets that are the result of careful preparation and processing of the fresh hops. Cascade hops contains moderate alpha acid content ranging from 4.5% to 7%. 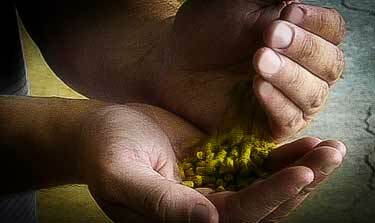 Its real strength in brewing is in the aroma, as it was the premier aroma hop developed in the U.S. It carries some spicyness to it as well as a botanic bouquet. The aroma of Cascade also comes with citrus, sometimes compared to grapefruit. This no doubt comes from the higher levels of Myrcene. Farnesene also registers fairly high in Cascade, which is used in the perfume and food industry. Galena Hops exceeds in bringing a clean crisp bitterness, and this makes it suitable for nearly any type of beer needing kick. This variety has higher Myrcene oil content than most hops. Myrcene itself has the smell of sweet fruits such as grapes and peaches, while at the same time having essence of woody, or grassy elements. The balance of myrcene with the other oils brings a moderate and pleasant aroma, making it applicable for aroma additions in the wort. Additional Information: Until recently the most widely grown aroma hop in the US; released from the USDA breeding program in 1976. Willamette Hops is an aroma variety with a low alpha acid content at 4.0%-6.0%. Although Willamette can contribute slightly to the bittering of a home brew or craft beer, Willamette dominates its usage for its flavor and aroma. Of the oils in Willamette, myrcene (30.0%-55.0%), humulene (20.0%-30.0%), as well as farnesene (5.0%-6.0%) are all elevated above the norm. This results in a delicate peppery herbaceous spice that has both fruit and floral essence. Although beer has been around for 1000s of years, the use of hops as a flavoring ingredient has only been used for the last few centuries. Besides flavoring, they are used as a stability agent in beer. The addition of hops to the brewing mix adds a bitter, tangy flavor depending on the variety and other brewing characteristics. Over the next 3 years we will be re-establishing the orchard that once grew on these lands. Already we have planted 130 new apple trees. Over the next several years, that number will be increased to 300 apple trees specifically selected for producing hard cider. Our family has been producing hard cider since the early 1990s. It takes between 3 and 5 years for a young tree to start producing its first viable apples, but after that, those trees will be producing increasingly larger crops each year for decades to come. Our apple trees have been specifically selected for brewing hard cider. 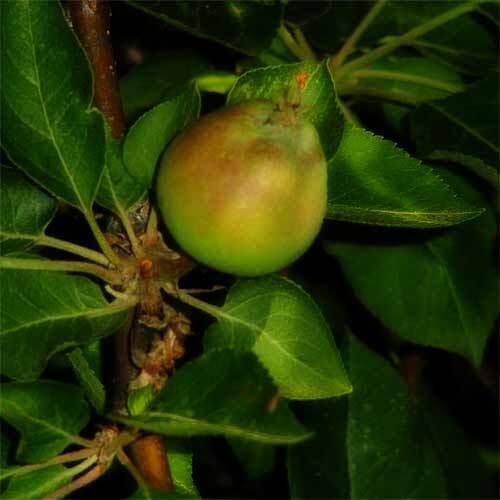 Apple trees for hard cider was one of the first things the pilgrims planted after arriving in the new world. But unlike apple production in Europe, they had problems with setting fruit because of a small insect. In time, the pilgrims learned that what apple trees needed besides the basic requirements of sunlight, water and good soil, were bees. America had bees, but they weren't the type of bees that could easily pollinate the apple blossom. 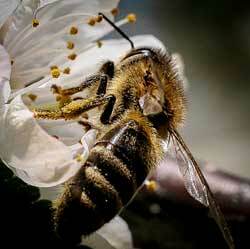 For whatever reason, North America did not have what we take for common today: the honey bee. To correct this colonies of honey bees were shipped to America in the early 1600s. and we were off and brewing. We at Paradune Brewing Farm are following the early colonists wisdom and have started building bee colonies for our future orchard. Over the past decade, all across the country we've seen a dramatic decline in vibrant bee colonies. While the scientists are still trying to figure exactly what the cause of colony decline, we are taking steps now , based on information learned, to protect our hives.